Sign up for Broadjam today to follow Dell Feddi, and be notified when they upload new stuff or update their news! 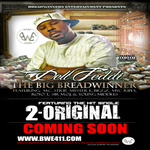 Dell Feddi "The Big BreadWinner"
Dell Feddi from the South Bay City of Milpitas is set to release his third album in early June. Featuring sons like Don't mind me, Just Go, Grind It, and The Bay Area smash, 2 Original. Please stop by and check him out. You can hear his music here on broadjam or log on to the official site, www.BWE411.com! 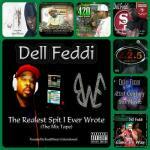 Also check out the video for the single "2 Original" @ www.youtube.com/DellFeddi. Thanks for your support!